JERUSALEM/BEIRUT: Iranian forces in Syria shelled Israeli army outposts across the Syrian frontier overnight, Israel said, prompting one of the heaviest Israeli strikes in Syria since its civil war began in 2011. The attack into the Israeli-occupied Golan Heights marks the first time Iranian forces have hit Israel from Syria, where they have deployed along with Iran-backed militias to support President Bashar al-Assad in the civil war. 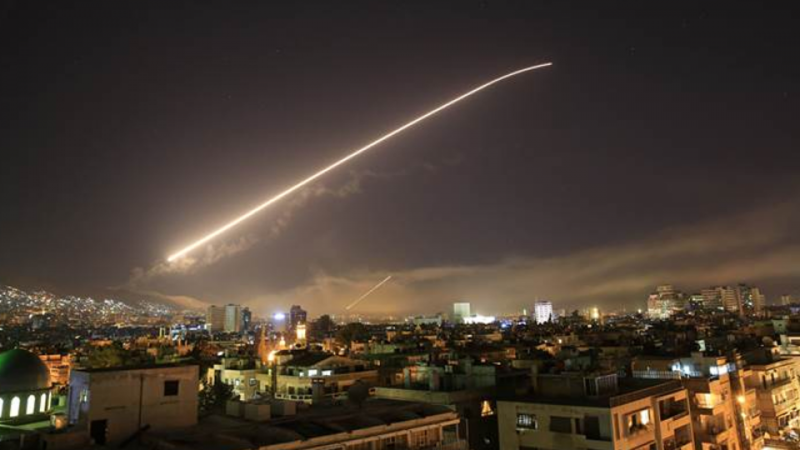 Syrian state media said dozens of Israeli missile strikes hit a radar station, Syrian air defense positions and an ammunition dump, underscoring the risks of a wider escalation involving Iran and its regional allies. The Israeli military spokesman said the Iranian attack with around 20 projectiles or rockets was carried out by the Quds Force, an external arm of Iran’s Revolutionary Guards. The attack took place at around 12.10 a.m. “We have retaliated but I have no further details about this,” he said. Tensions between Israel and Iran had already spilled over in Syria. Iran vowed retaliation after an Israeli air strike last month killed seven of its military personnel in a desert airbase in Syria. Israel regards Iran as its biggest threat, and has repeatedly targeted Iranian forces and allied militia in Syria. Syrian state media reported Israeli missile attacks targeting Baath City in Quneitra, near the border. Further waves of missiles followed. Syrian state media said Israeli missiles had been brought down over Damascus, Homs and Sueida. Syrian state television was broadcasting footage of its air defenses firing, and playing patriotic songs. Damascus residents described explosions in the sky from air defense systems. The late-night incident followed a surge in tensions between Israel and Syria, where Iranian and Lebanese Hezbollah forces have helped Damascus beat back a 7-year-old rebellion.